Internet users in Nigeria now 91m, says NCC – Royal Times of Nigeria. The increase in the use of the internet in May is in anticipation of the country’s broadband target of 30 per cent penetration by 2018. INTERNET users in Nigeria has hit 91 million, according to the Nigerian Communications Commission (NCC). The NCC said internet users increased from 90,124,428 in April to 91,565,010 in May, an increase of 1,440,582. 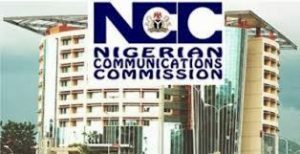 The telecommunications industry regulator made the disclosure in its Monthly Internet Subscribers Data obtained by the News Agency of Nigeria (NAN) on Saturday in Lagos. The data indicates that internet users on both Global System for Mobile (GSM) communications and Code Division Multiple Access (CDMA) networks increased from 90,154,737 in April to 91,565,319 in May. It said that out of the 91,595,319 internet users in May, 91,565,010 were on GSM networks, while 30,309 users were on CDMA networks. Also, the GSM service providers gained 1,440,582 internet customers after recording 91,565,010 users in May, as against 90,124,428 it recorded in April. The CDMA operators had retained 30,309 internet subscribers in May as recorded in April. The data also shows that MTN had 31,406,441 subscribers browsing the internet on its network in the month under review and also recorded an increase of 600,464 internet subscribers in May after recording 30,805,977 in April. According to the NCC, Globacom has 27,402,484 customers surfing the net on its network in May, revealing an increase of 211,713 users from the 27,190,771 that surfed the internet on the network in April. Airtel had 19,912,661 internet users in May, showing an increase of 504,811 customers from 19,407,850 recorded in April. The data also showed that Etisalat had 12,843,424 customers who browsed the internet in May, an increase of 123,594 users from the 12,719,830 users recorded in April. CDMA operators, Multi-Links and Visafone had a total of 30,309 internet users on their networks in May, maintaining the same record of April. Visafone has 30,305 customers surfing the internet in May, while Multi-Links has only four internet users.